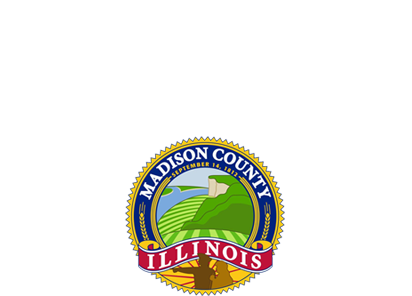 EDWARDSVILLE — Three Madison County officials were sworn in Monday morning for their new terms in countywide offices. Sheriff John Lakin, Treasurer Chris Slusser and County Clerk Debra Ming-Mendoza each took their oath of office. Lakin joked it wasn’t a good idea to give him a microphone, but in all seriousness he wanted to thank his family for all their support. Lakin’s wife, Amy, stood him as Retired Madison County Circuit Judge Judge Charles Romani swore him in. Lakin congratulated Slusser and Ming-Mendoza on their victories as well. He also commended County Board members, both outgoing, current and incoming for all their work. 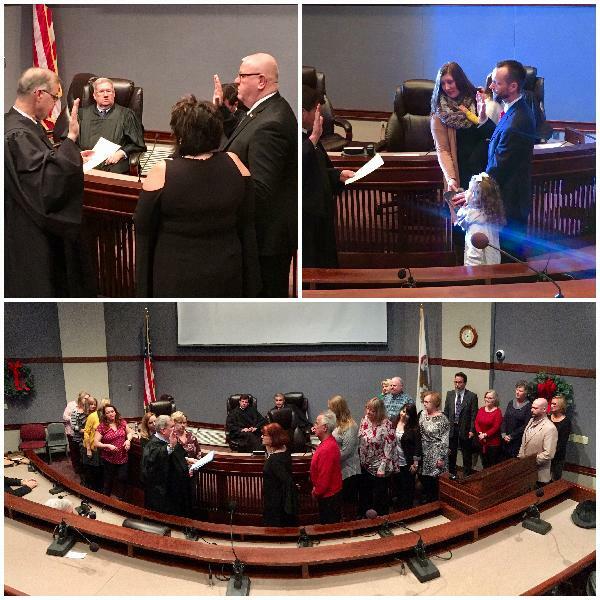 Judge Stephen Stobbs administered Slusser’s oath of office as he stood with his wife Megan, and their daughters, Annabelle and Zoë. Slusser said his father, who retired from Olin Winchester after 39 years, taught him about hard work. “He made a lot of sacrifices for his family,” Slusser said. Slusser said family is important to him and he’s created that atmosphere in his office. He thanked his staff. Slusser said he does his best to empower them to do their job with excellence. Ming-Medoza said she doesn’t do her job alone. She thanked her husband, Mercie, who she said stands with her 24/7 along with her family, but praised her staff. She then invited them to stand at the podium with her and Mercie as Circuit Judge Dennis Ruth swore her in.